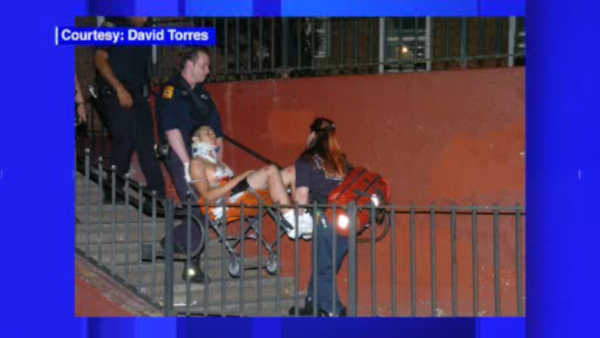 MOTT HAVEN, Bronx (WABC) -- Two men were slashed early Thursday morning in the Bronx. The attack happened inside an apartment building on Morris Avenue in the Mott Haven section around 1 a.m. In addition to the slashings, another person was hit by a car outside the building. All three are being treated at Lincoln Hospital. A second man was brushed by the same car, but was not hurt. No arrests have been made in either incident, which may be related. The victims are not currently cooperating with police.